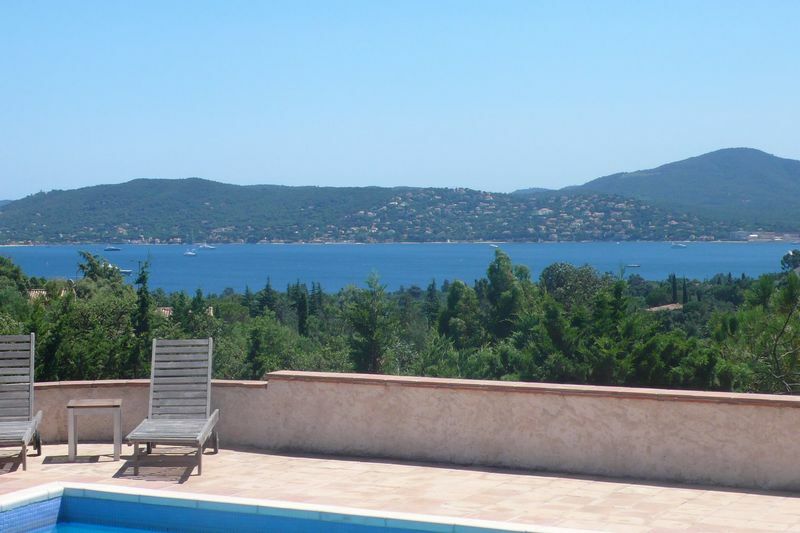 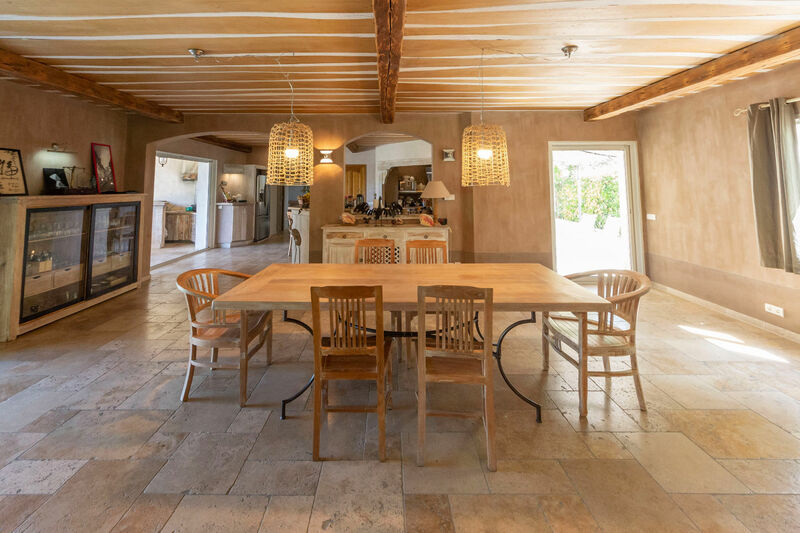 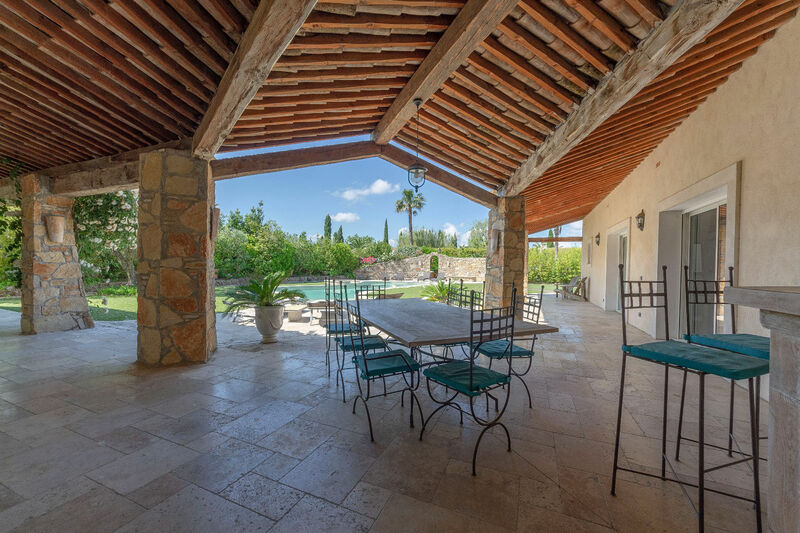 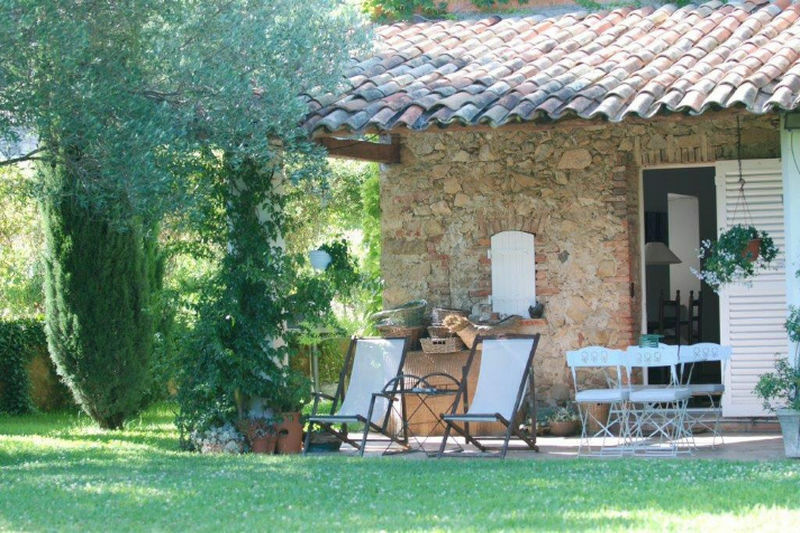 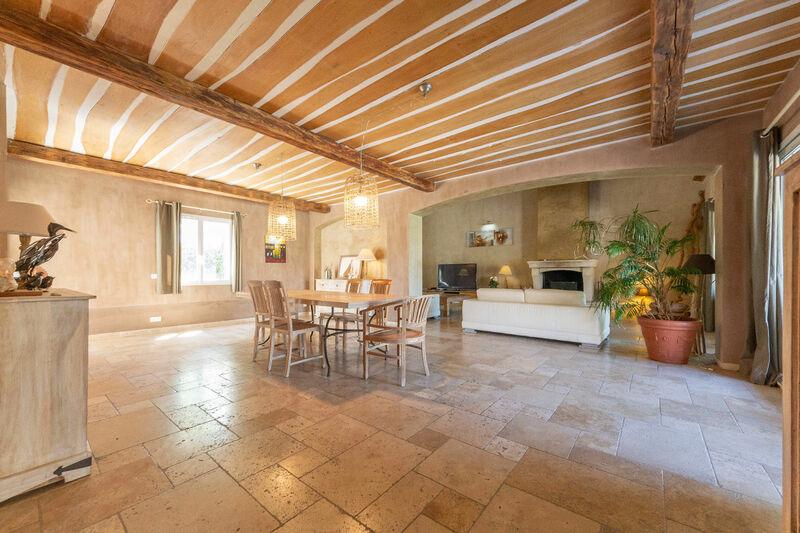 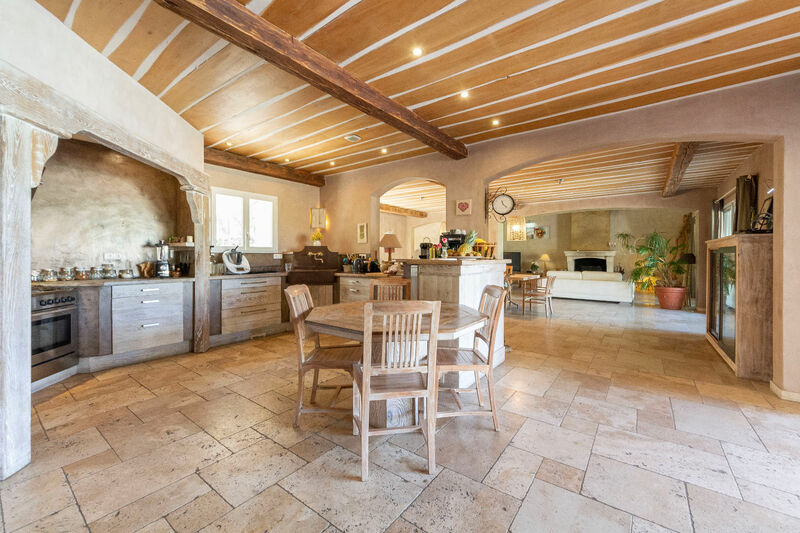 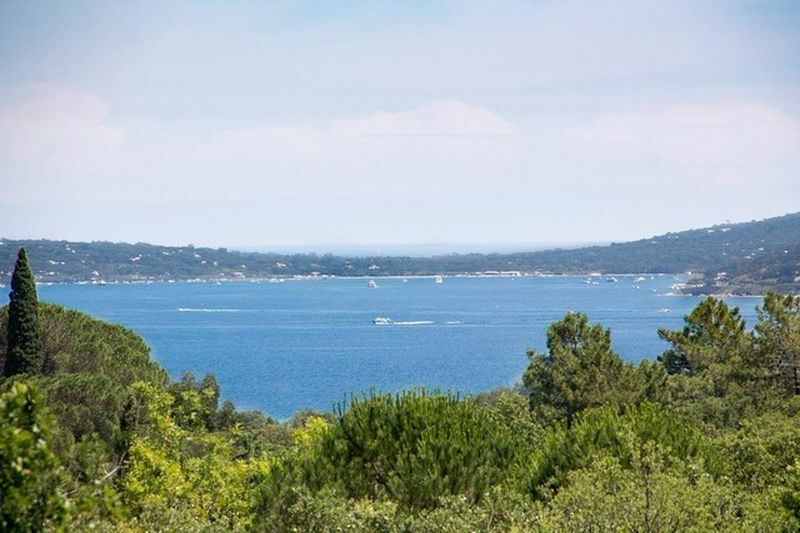 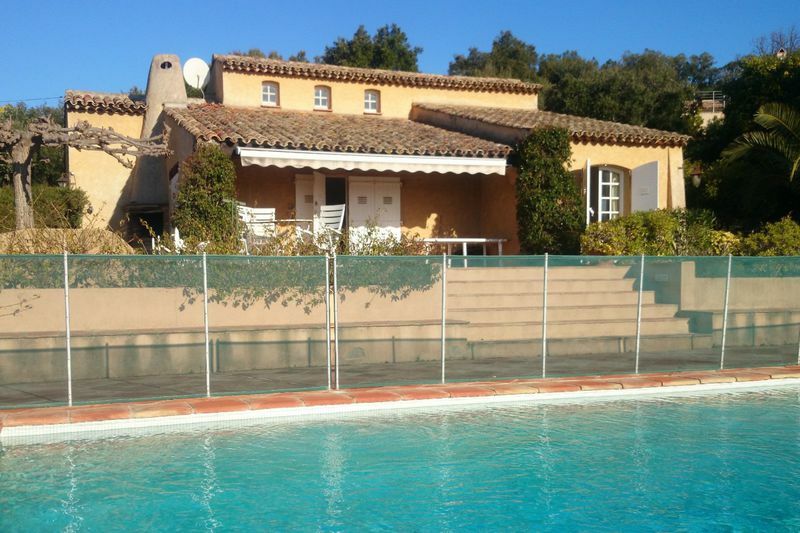 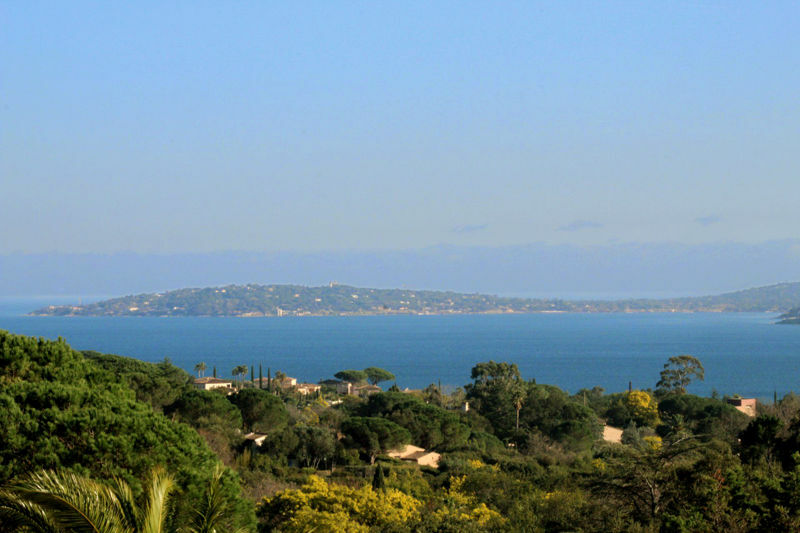 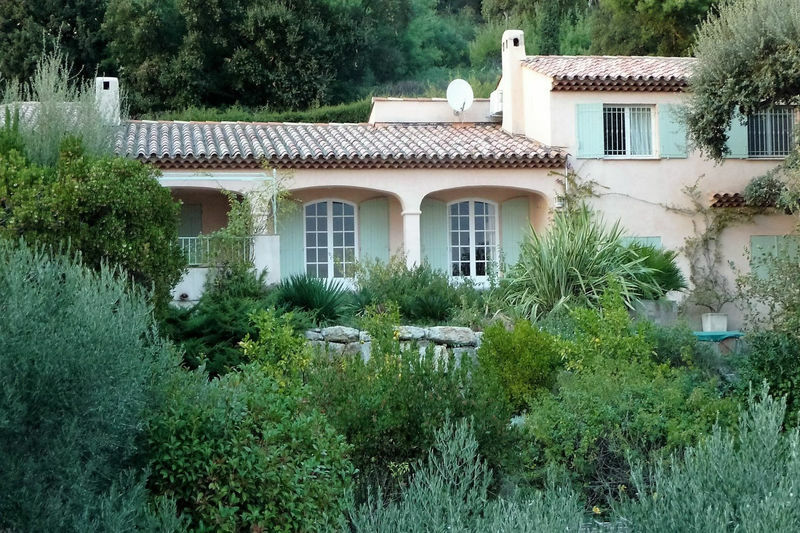 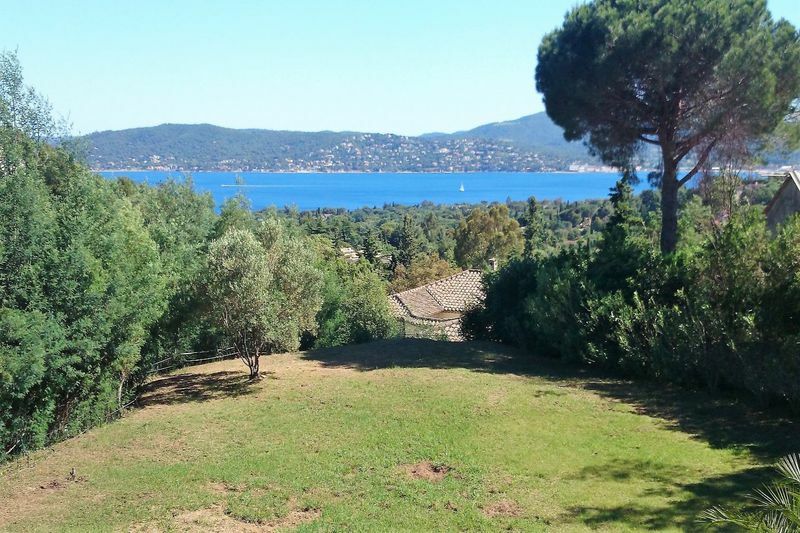 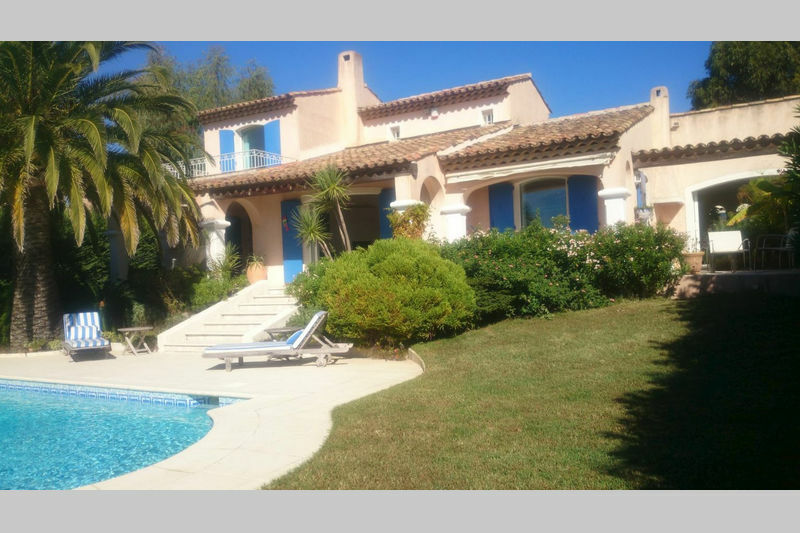 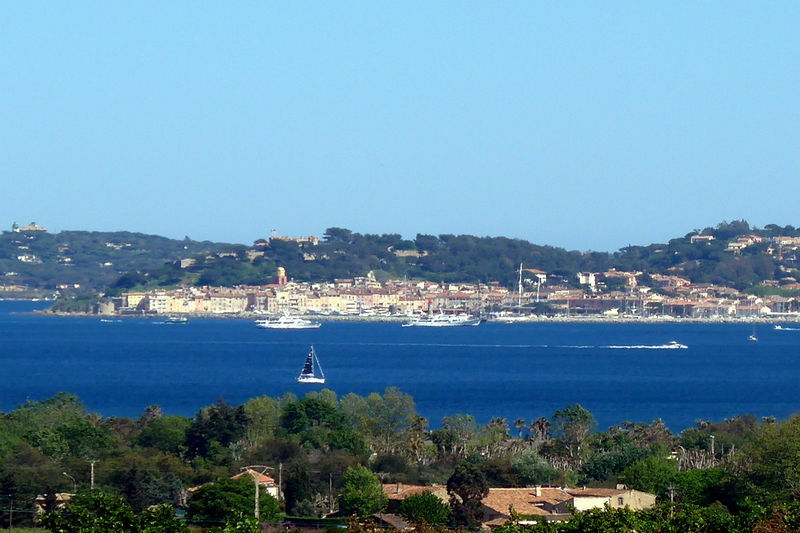 GRIMAUD: Beautiful Provincial style villa on flat grounds, with a swimming pool and jaccuzi. 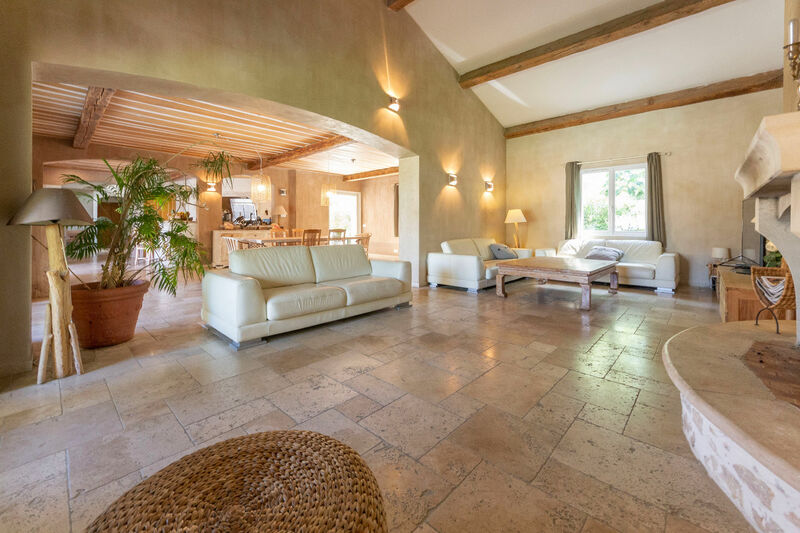 The villa offers a spacious living room of 80m2 with fireplace; an open kitchen with bar. 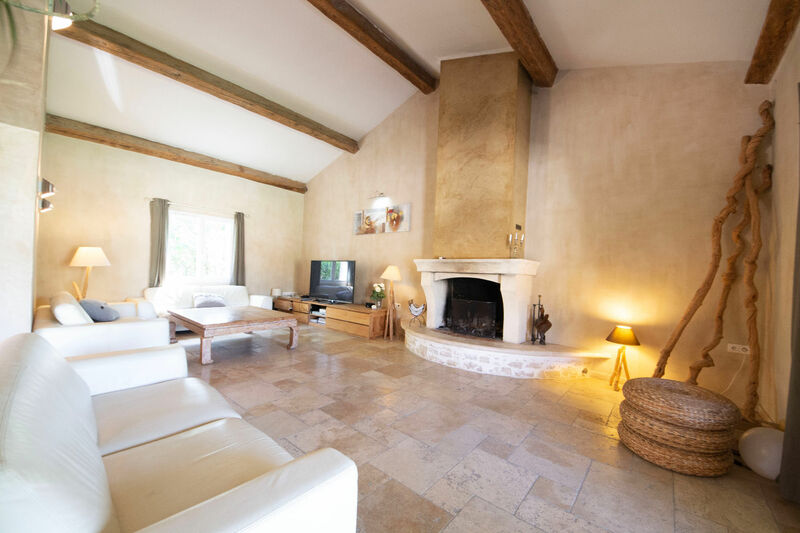 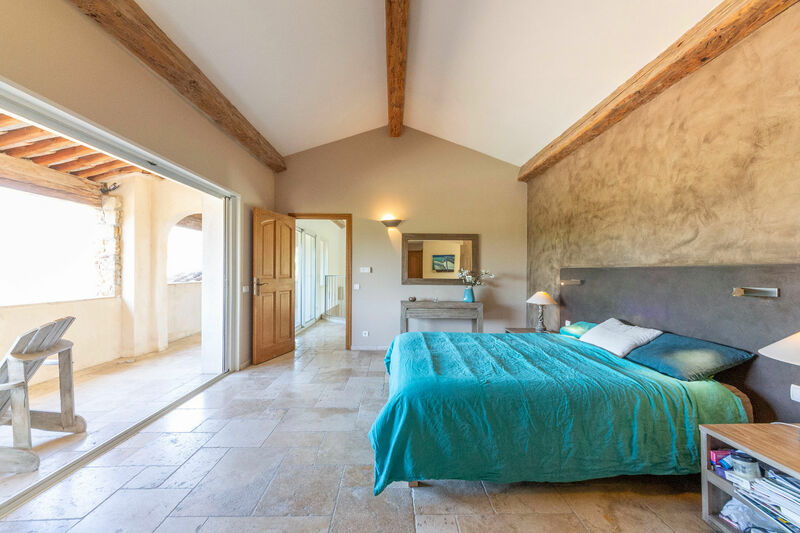 Upstairs, you find the Master bedroom with bathroom, toilet, dressing room and terrace overlooking the village of Grimaud. 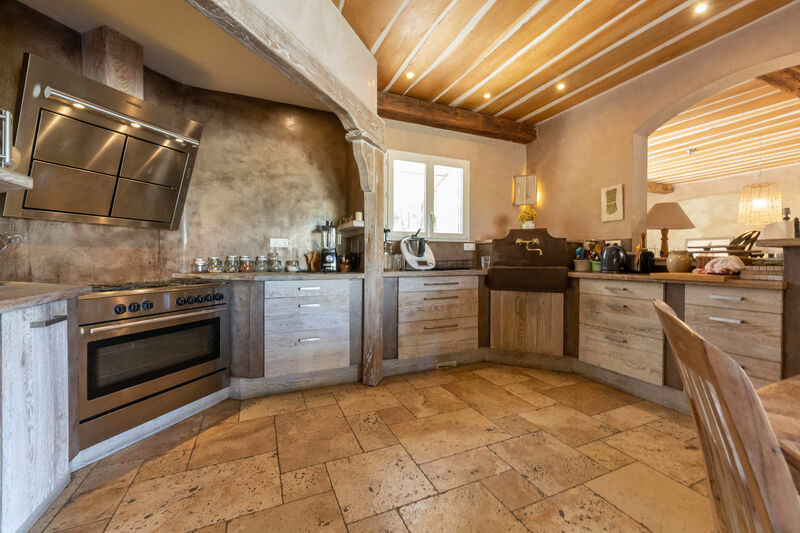 Heated ( and refreshing) underflooring. 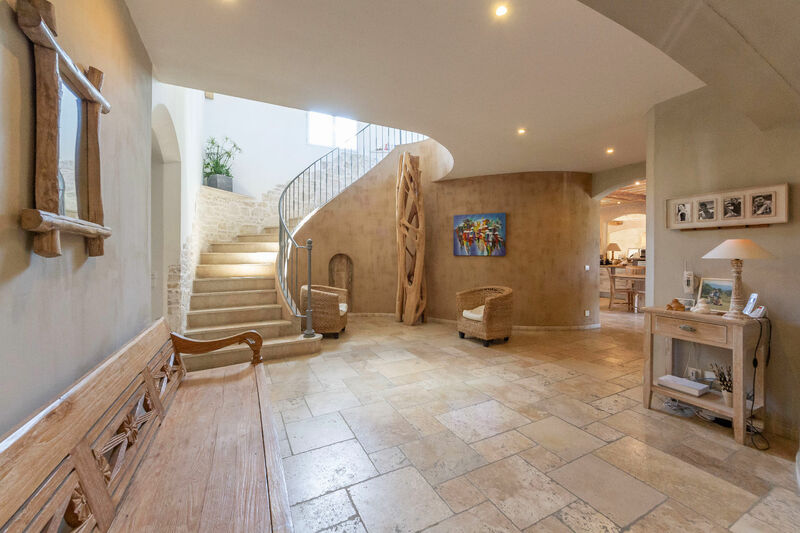 Very nice materials and features.